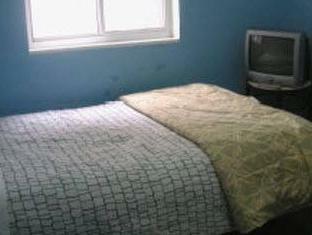 Less than one mile from University of Toronto, this guest accommodations has easy access to local subway stations. Free Wi-Fi is offered. 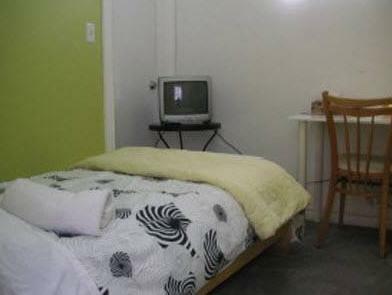 Classically furnished guest rooms offer a color TV with cable channels. Guests at Kaisar Guest House are greeted with slippers and fresh linens at check-in. A small work desk is also provided. Two common kitchens offer a microwave, fridge, stovetop, and cooking utensils. Complimentary tea and coffee are available for guests. A coin-operated laundry facility is also on-site. Kensington Market is 5 minutes’ walk from this accommodations. The Little Italy district is about 0.6 mile away. You must show a valid photo ID and credit card upon check-in. Please note that all special requests cannot be guaranteed and are subject to availability upon check-in. Additional charges may apply. Please let the property know about your exact arrival time. This hotel requires prepayment by Visa or Mastercard. American Express cannot be accepted as a form of prepayment and all reservations require prepayment. Booker must use own credit card when booking as property does not allow 3rd party payment. Please notify the hotel if your arrival is anticipated past 22:00. A USD 15 late arrival fee may apply.